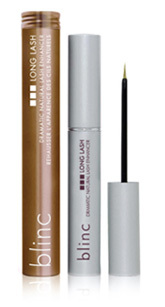 Blinc long lash eye enhancer will make natural lashes appear longer, fuller, thicker, denser, healthy and conditioned. Visible results in two to four weeks! Can be used once or twice a day, morning or night. Apply to the base of the lashes, as one would apply an eyeliner. Eye lash enhancer causes no stinging, irritation or skin and eye discolouration.